Feel.Fire.Flow. - It's All About Eggplant and Broccoli This Week! It's All About Eggplant and Broccoli This Week! I hope everyone had a great Labor Day weekend! 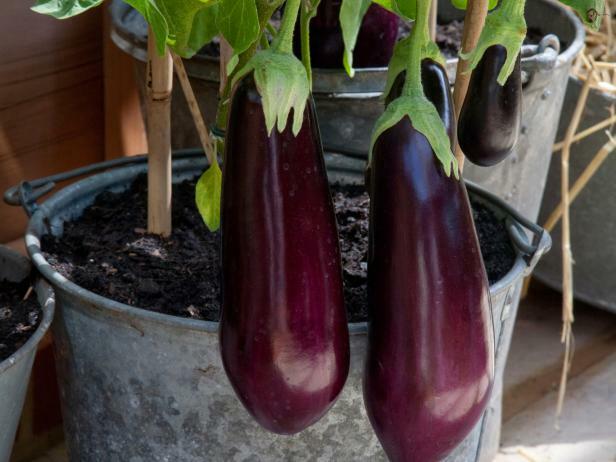 We’re on to part 2 of the local and seasonal food series and this week we’re looking at two nutritious, tasty and versatile vegetables - eggplant and broccoli! Available locally in the Northeast in July, August, and September - if you’ve been to the store recently these babies are looking really good right now! On the Clean 15* list, meaning it’s safe to buy non-organic. Low on the glycemic index so it will not cause issues with blood sugar or cause inflammation. High in fiber which keeps us full and is critical to digestive health - the first line of defense in our bodies! A great meat substitute thanks to its consistency and texture. Rich in folate which is critical to fertility & fetal health. High in potassium to help maintain pH balance in our bodies. Potassium has also been shown to help male fertility. Packed with antioxidants and phytonutrients which help protect our cells from toxin damage, reduces inflammation and helps fight off diseases. High in B-complex vitamins such as pantothenic acid (vitamin B5), pyridoxine (vitamin B6) and thiamin (vitamin B1), niacin (B3). Note: It’s important to point out - if you have an autoimmune disease or are working on an elimination diet - it is a nightshade, as are tomatoes, potatoes, and bell peppers. You might consider avoiding them. Technically available locally in the Northeast in July, August, September, October, and Early November, but easiest to get through your local CSA and farmers market right now. One of the green superfoods thanks to it’s potent combination of vitamins, minerals and phytonutrients. Energetically cooling; a yin food. An extremely good source of vitamin C, vitamin E, vitamin A, and B6. A powerful inflammation fighter thanks to its antioxidant content. Able to aide in hormone balance by binding to excess estrogens in our systems and detoxing them. A great source of fiber for a healthy digestive system. A great source of calcium and magnesium - both critical to support hormone balance and a healthy pregnancy. I will mention broccoli is not on the Clean 15 or Dirty Dozen lists. My rule of thumb is if there’s no protective layer and you’ll be eating the vegetable as is, go organic when you can. Eat up and enjoy all the benefits of these two mighty veggies! Do you have a favorite recipe using eggplant or broccoli? Share it in the comments below! Subscribe to Feel.Fire.Flow. below to get your seasonal food updates delivered right to your inbox! There is no time like this time to start nurturing a life you love. Click here to access your free resource, 8 THINGS TO DO RIGHT NOW TO START FEELING GOOD. Newer PostAre You Following Feel.Fire.Flow.?! Older Post‘Tis the season for… Green Beans? Hell Yes!